Bonn/Samobor – 9 September 2016 – A regional workshop aiming to enhance cooperation and implementation of AEWA for countries situated along the Adriatic Flyway is being held 13 – 15 September 2016 in Samobor, Croatia. The Adriatic Flyway is an important migratory corridor that runs along the east coast of the Adriatic Sea for waterbirds migrating between the eastern half of Europe and North and sub-Saharan Africa. “Twice a year millions of waterbirds use the Adriatic Flyway to migrate between their breeding and wintering grounds. 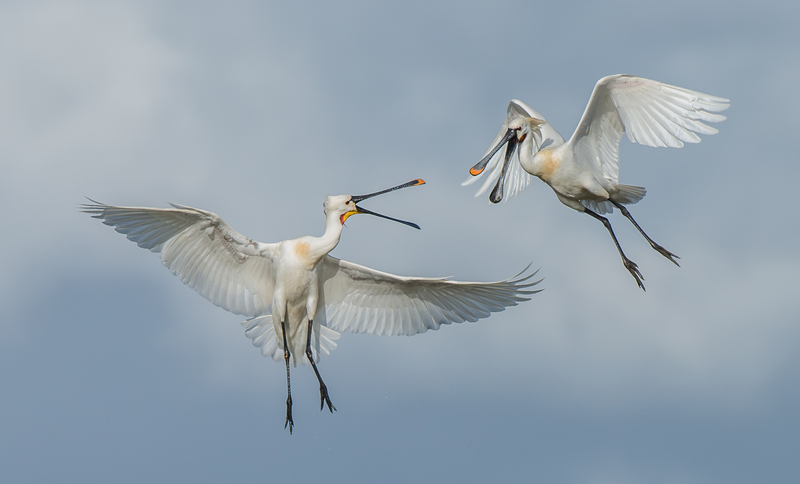 To be able to complete this impressive journey, migratory waterbirds depend on a network of stop-over sites along the entire flyway to rest and refuel.” says Jacques Trouvilliez, Executive Secretary of AEWA. “Greater implementation of AEWA as well as enhanced cooperation amongst countries across the Adriatic Flyway is key to ensuring the safe passage of millions of birds using this corridor each year” says Trouvilliez. The three-day workshop will bring together AEWA National Focal and Contact Points from Albania, Bosnia and Herzegovina, Croatia, Greece, the Former Yugoslav Republic of Macedonia, Montenegro, Serbia and Slovenia as well as a number of national non-governmental conservation organisations. It is being organized by the international NGO Euronatur and its local partner – the Croatian Society for Birds and Nature Protection - in conjunction with the AEWA Secretariat and hosted by the Croatian Ministry of Environmental and Nature Protection. The sessions will take various forms with plenary discussions, interactive lectures, group work, discussions, role plays and brainstorming and will be facilitated by Tim Dodman, a veteran of many similar events organized by AEWA and CMS in the past. The subjects under consideration will include the rationale behind AEWA, the need to protect migratory birds, the values, threats and opportunities of the Adriatic Flyway. The roles of AEWA and of AEWA National Focal Points and implementation of the Agreement will be detailed as well. There will also be a refresher course on negotiation at AEWA meetings with a simulation centered on the issue of sustainable hunting and a session dedicated to national reporting. During the communication session, an event held in Albania this year at the occasion of the CMS-AEWA led awareness-raising campaign “World Migratory Bird Day” will be presented as a case study to highlight good practices - as a model on how involve local communities in the protection of waterbirds along the flyway. A field trip will give participants the opportunity to engage in some field observations and experience practical conservation interventions, such as mitigation measures for bird collision with power lines, and site management work at first hand.